FPS EXPO 2016 is the event of the year for the oil distribution industry in the UK and Republic of Ireland. It will take place on 20th & 21st April at the impressive Liverpool Exhibition Centre. A wide variety of senior professionals from across the UK, Europe and as far afield as the USA will be visiting FPS EXPO 2015 to check out the latest industry innovations. Come and see us at on stand 110. 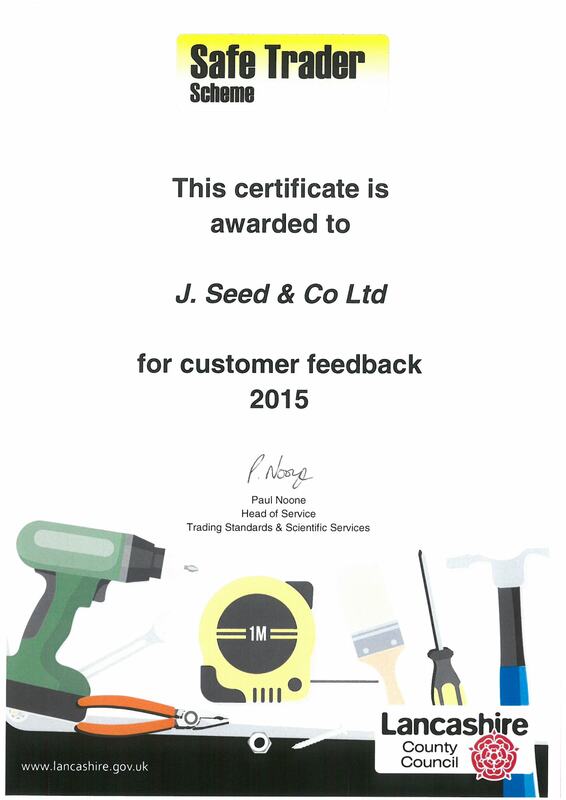 Our certificate can be viewed by clicking here. FPS EXPO 2015 is the event of the year for the oil distribution industry in the UK and Republic of Ireland. It will take place on 22nd & 23rd April at the Harrogate International Centre. Come and see us at on stand C70. FPS EXPO 2014 is the event of the year for the oil distribution industry in the UK and Ireland. It will take place on 9th & 10th April at the Harrogate International Centre. Come and see us at on stand C70. We was pleased to be asked to support Caldo Oils again with tanks at the Cheshire Ploughing Match. Despite it throwing down with rain in the morning and it being treacherous under foot due to the mud it was an excellent show with us selling a 3500 litre steel dispensing tank and the 5000 litre Deso fuel dispenser with hose reel off the stand. Rix Petroleum contacted us with a requirement to sell gas oil to boats on Grimsby Docks. We worked closely with them throughout the project and supplied them with a 100,000 litre tank and two free standing cabinets to contain all the dispensing equipment and hose reels. Our engineers attended site and installed all the equipment dockside with UPP twinned pipework to minimise potential problems dispensing fuel in such an exposed location. J Seed was pleased to support Rix Petroleum again at the Driffield show with one of our high quality steel dispensing tanks as a centre piece on their stand. It was a lovely sunny day and we received several enquiries which resulted in a couple of tank sales. Sales Manager Wendi Whittle was also on hand to answer any questions and enjoy the sunshine. Come and see us on stand No. C67 at FPS EXPO Show 2013, Harrogate International Centre on 17 & 18 April 2013. Come and see us on stand No.35 at The Oil & Renewable Energy Show 2012, Manchester Central 17 & 18 October 2012. J. Seed & Co are please to announced the launch of our new website.